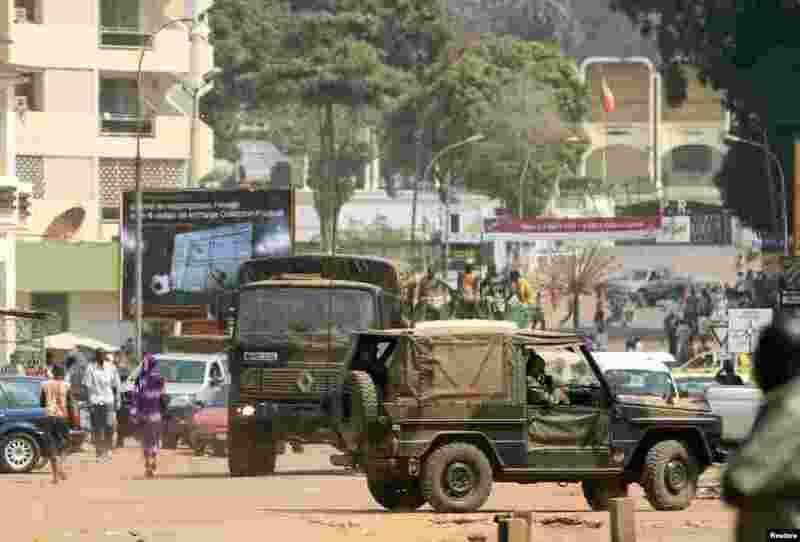 1 French soldiers patrol near the presidential palace (background) in Bangui, Central African Republic, December 31, 2012. 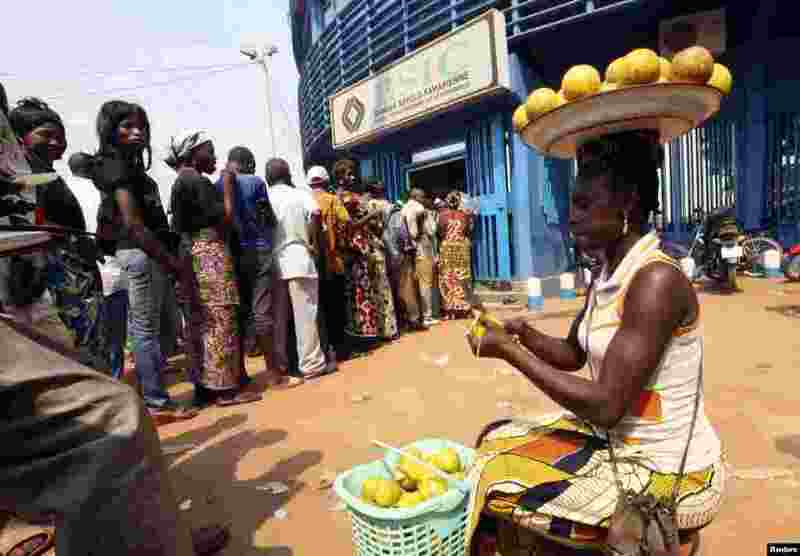 2 People wait in line at the BSIC bank in in Bangui, Central African Republic, December 31, 2012. 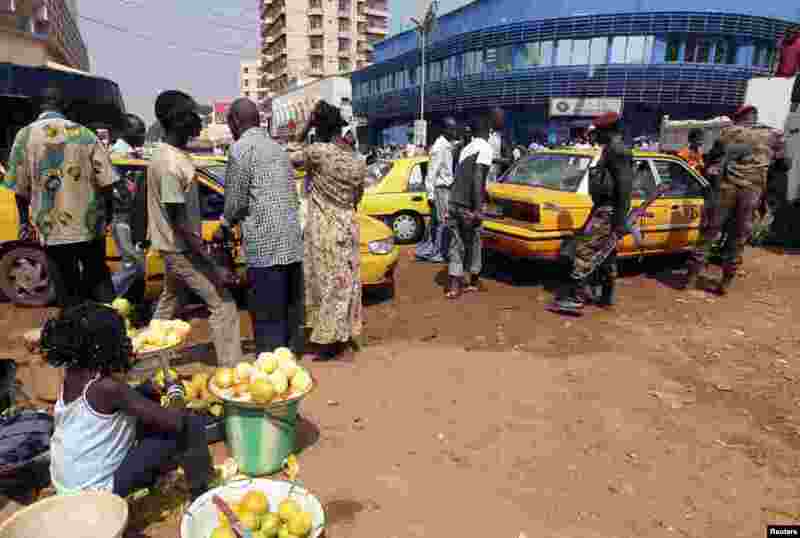 3 Central African Republic soldiers walk near a taxi station in Bangui, December 31, 2012. 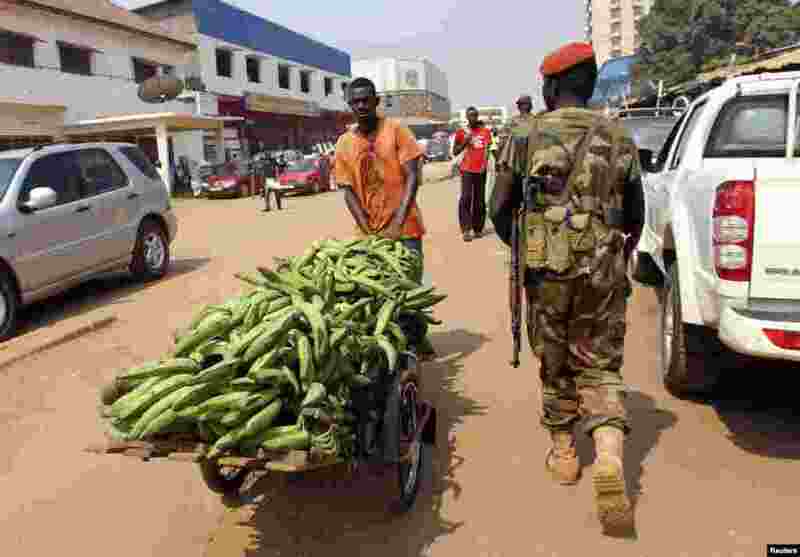 4 A Central African Republic soldier walks past a vendor on a street in Bangui, December 31, 2012.